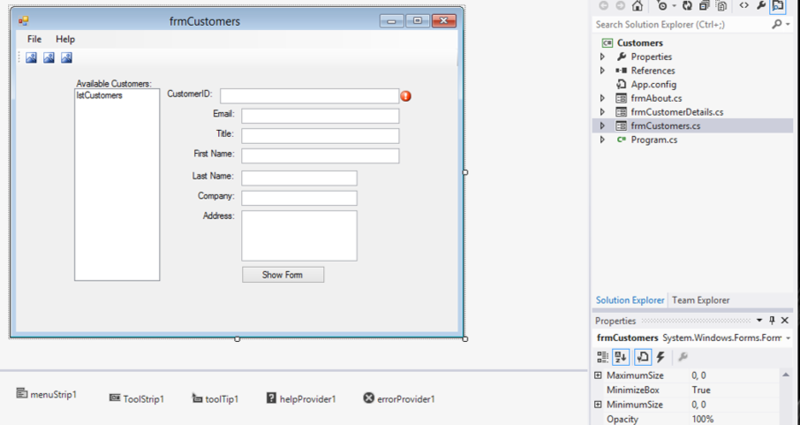 In this exercise, you will create a form that to show customer information. You will later add a MenuStrip, ToolStrip and other controls to this form. then Windows is selected at the left of the screen under Installed Templates. to create the directory for your solution (keeping the tick box selected). In this exercise, you will enhance the customers form to open a second form. You will add container controls & provider controls to this second form. By adding the forward-slash to the beginning of the sentence, the following text in the sentence is not treated as code by the compiler; it is commented out. For it to compile and execute as code, just remove the forward slash characters from the sentence. By commented out code you can choose which code you want to have activated in your program. Create a new Windows Class Library project called UpperText. 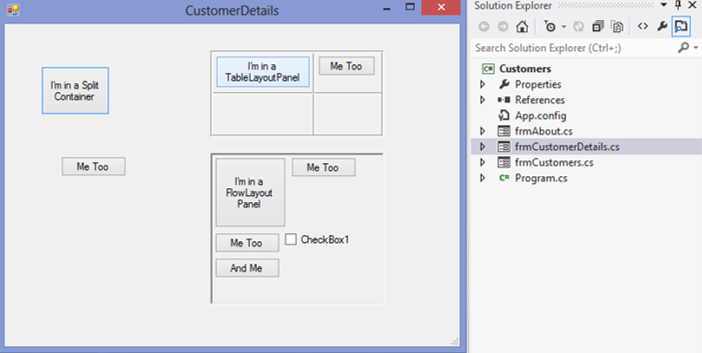 Type using System.Windows.Forms; into the beginning of the Class1.cs file. Create a new Windows Control Library project called CustomUserControl. In this exercise you will test the user control you have created. You will do this on from a new Windows Application project.